e Ink Holdings has had a sizable setback with their reported $33.63 million dollar loss last quarter. The company is seeing decreased demand for their e-Reading panels, despite the fact that they are the cornerstone of Amazon, Barnes and Noble, and Kobo’s e-reading technology. e Ink has seen a constant decline in their last two quarters, due to most of their customer base gravitating towards Android tablets. This quarter, revenue is expected to at least double over last quarter’s NT$2.93 billion, as many customers are going to release next generation e-Readers. 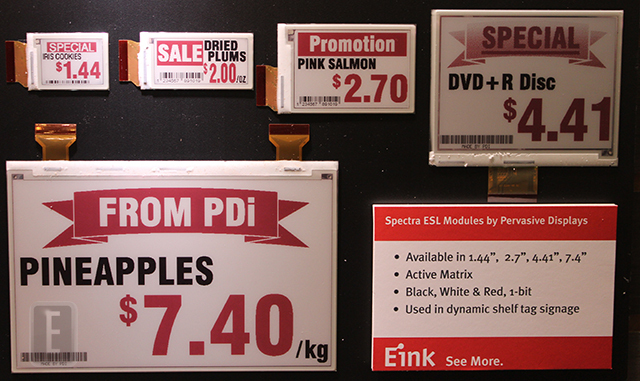 e Ink traditionally sees an increase in business in Q3 and Q4, as manufacturing kicks into overdrive. Although e-Paper technology accounts for 70% of the company’s value, they are trying to make a go out of their screens in other commercial spaces, such as the modest gains they are seeing in their signage for airports and transportation industries. They have also debuted new grocery store digital signage that will replace the static price tags. By the end of the year, this new revenue stream is expected to account for 5% of their total earnings.